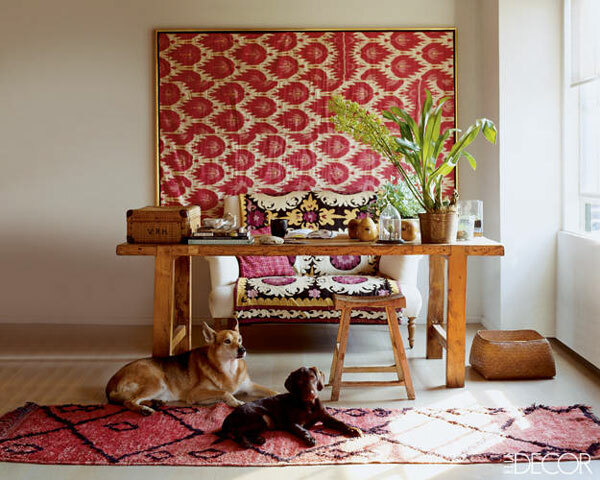 With their energetic patterns and often chaotic hues, ikat prints are making a big return in interiors for 2014. 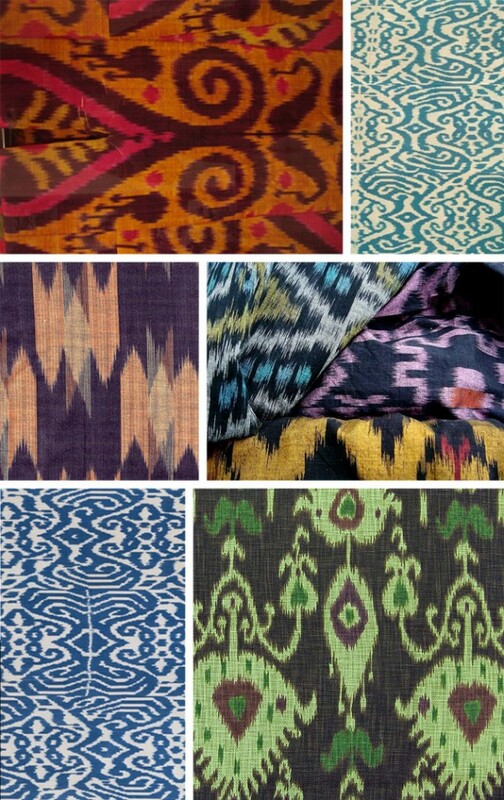 With an uncertain history, ikat is a universal weaving style popular in many cultures such as South America, India and Asia. Today, we are seeing this print on everything from plates to wallpaper. There are so many ways you can introduce this fun, global look into your living spaces no matter your style. 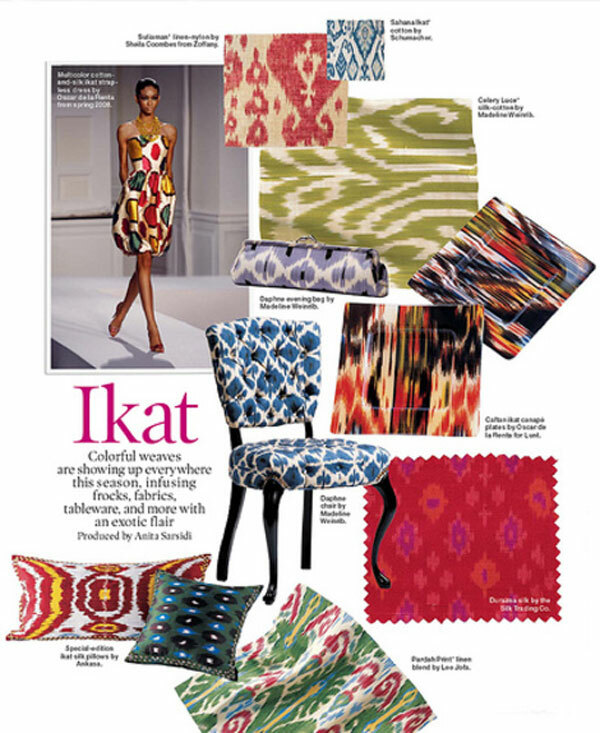 Below we’ve shared eight of our favorite ikat looks to get you started. 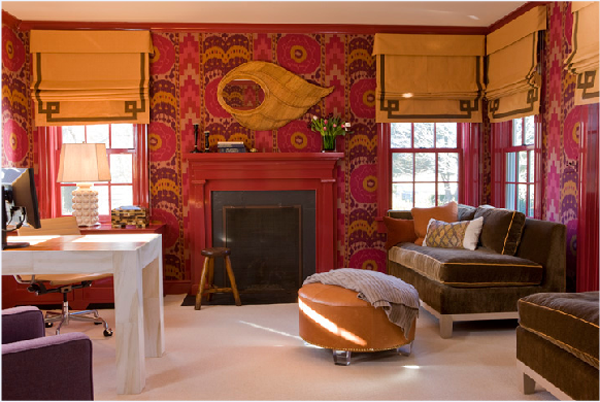 An ikat print in rich fuchsia, purple and gold hues covers the walls in this study. It brings the decor to life and creates a vibrant movement. 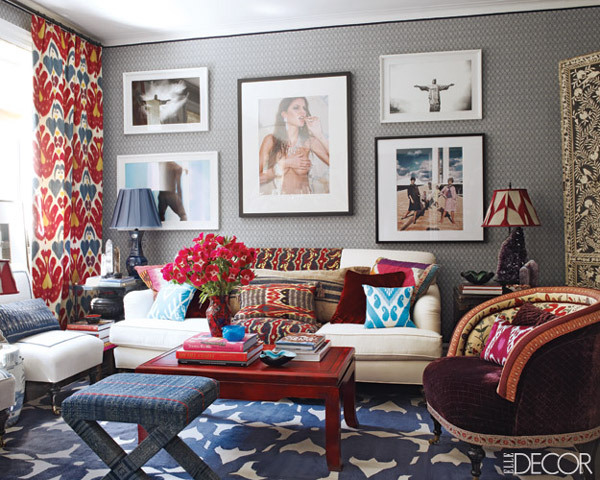 This living room is filled with vibrant ikats at the windows, on pillows and a throw at the back of the sofa. Windows are the perfect place to let ikat work its magic. Here an unexpected red, white and blue palette is carried through the space. 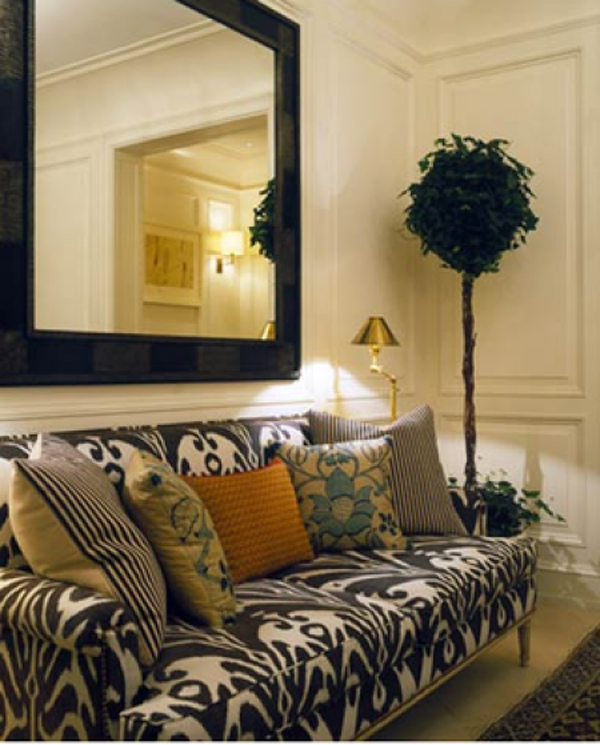 This sofa in a dramatic black and white ikat print proves that ikat works in any style space, even a formal traditional one. 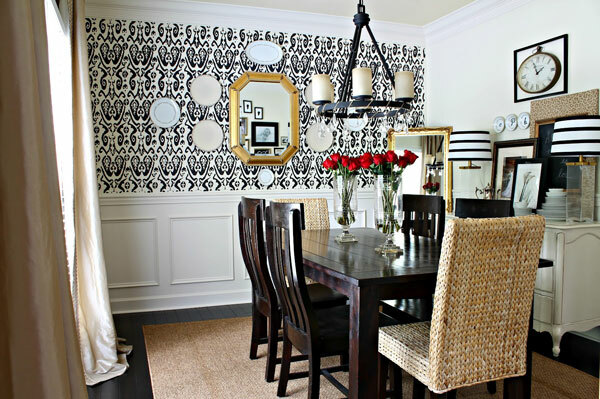 A black and white ikat wallpaper creates a sophisticated backdrop in this eclectic dining room. A grey and lime ikat motif looks stunning on these traditional chair backs as well as amps the energy in the space. Pillows are perhaps the most cautious way to introduce a busy ikat print into any room. 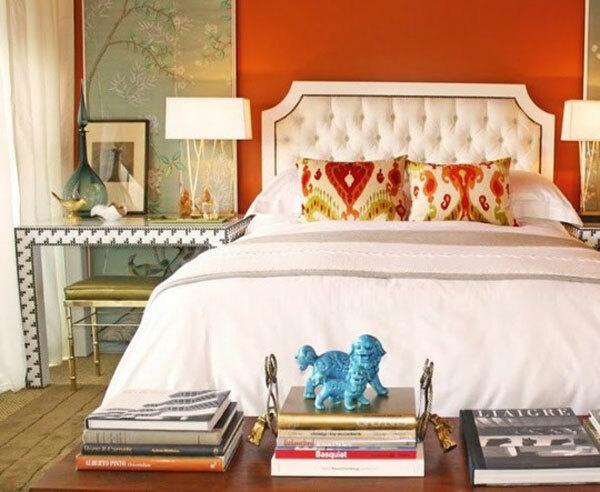 Here two ikat pillows pop on white bedding and tie the rooms colors together. A piece of fabric with stunning ikat print brought into focus with a gold frame becomes a unique wall hanging in this home office.